Why should modern psychotherapists be interested in philosophy, especially ancient philosophy? Why should philosophers be interested in psychotherapy? There is a sense of mutual attraction between what are, today, two thoroughly distinct disciplines. However, arguably it was not always the case that they were distinct. 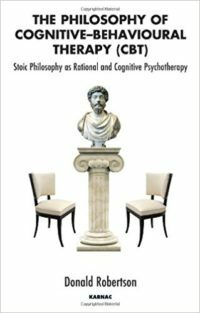 The origins of modern cognitive–behavioural therapy can be traced, through early twentieth century rational psychotherapists, back to the ancient therapeutic practices of Socratic philosophy, especially Roman Stoicism. The notion of Stoicism as a kind of “intellectualism”, opposed to emotion, is a popular misconception. Stoicism has traditionally attempted to accommodate emotion, especially the primary philosophical emotion of rational love toward existence as a whole. Ancient philosophy offers a clear analogy with modern CBT and provides many concepts, strategies, and techniques of practical value in self-help and psychotherapy. The contemplation of universal determinism, of the transience or impermanence of things, including our own mortality, and the meditative vision of the world seen from above, or the cosmos conceived of as a whole, constitute specific meditative and visualization practices within the field of ancient Hellenistic psychotherapy. Contemplation of the good qualities (“virtues”) found in those we admire and in our ideal conception of philosophical enlightenment and moral strength (the “Sage”) provides us with a means of modelling excellence and deriving precepts or maxims to help guide our own actions. The rehearsal, memorization, and recall of short verbal formulae, precepts, dogmas, sayings, or maxims resembles the modern practice of autosuggestion, affirmation, or the use of verbal coping statements in CBT. The objective analysis of our experience into its value-free components, by suspending emotive judgements and rhetoric, constitutes a means of cognitive restructuring involving the disputation of faulty thinking, or cognitive distortion. By sticking to the facts, we counter the emotional disturbance caused by our own “internal rhetoric”. Mindfulness of our own faculty of judgement, and internal dialogue, in the “here and now”, can be seen as analogous to the use of mindfulness meditation imported into modern CBT from Buddhist meditation practices, but has the advantage of being native to Stoicism, the philosophical precursor of CBT, and to European culture and language. The enormous literary value, the sheer beauty, of many of the classics with which we are concerned marks them out as being of special interest to many therapists and clients, just as it has marked them out for many thousands of previous readers throughout the intervening centuries. Socratic philosophy has a broader scope than modern psychotherapy, it looks at the bigger picture, and allows us the opportunity to place such therapy within the context of an overall “art of living”, or philosophy of life. O God, give us serenity to accept what cannot be changed courage to change what should be changed and wisdom to distinguish one from the other. The client is helped by the cognitive therapist to do the following: 1. To monitor his negative automatic thoughts, or cognitions; 2. To evaluate the relationship between his thoughts, feelings, and actions; 3. To carefully evaluate the evidence for and against his distorted or maladaptive cognitions; 4. To generate alternative cognitions and to substitute them for the negative ones; 5. To identify and modify underlying dysfunctional assumptions and beliefs which predispose him to negative automatic thoughts. These and other components of established cognitive therapy can be identified easily in the practices of various schools of classical philosophy, as we shall see, especially Roman Stoicism. “What, then, is to be done? To make the best of what is in our power, and take the rest as it naturally happens” (Discourses, 1.1.17). As it happens, courage and wisdom are two of the four cardinal virtues of classical Greek philosophy, along with self-control and justice. The wisdom of the enlightened Stoic sage consists primarily in his unwavering mindfulness, moment-to-moment attention to acts of his will and to his faculty of judgement. 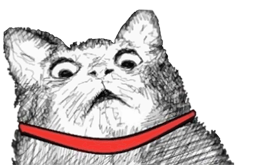 Emotional disturbance is the result of mindlessly becoming absorbed in external events, being overly attached to sensory pleasure, wealth, and the praise of others, and overly anxious about pain, poverty, and criticism. Epictetus compares the mind to a bottle of water with a ray of light shining through it, representing our perception of external events. If the water is shaken, the light is refracted and disturbed. Likewise, when our mind, judgements, and perceptions are internally disturbed, external events look disturbing to us. We project our feelings on to external events. The sage sees everything in the same light because his mind is constant and he refuses to attach undue importance to anything outside his control. By attending to our judgements, we can change the way we think about life, review the value we attribute to things, and gain control over our emotions. But, impatient at feeling my sleep interfered with, I soon had recourse to my Stoic remedy of fixing my thought forcibly on some neutral object that I chose at random (for example, the name Cicero, which contains many associated ideas), and so diverting my attention from that sensation. The result was that the sensation was dulled, even quickly so, and outweighed by drowsiness; and I can repeat this procedure with equally good results every time that attacks of this kind recur in the brief interruptions of my night’s sleep. [ibid., p.
Dubois’s central contention was that most neurotic or emotional disorders may be seen as the consequence of an ongoing process of unintentional autosuggestion, of an irrational and unhealthy nature. So-called “hysterical” or psychosomatic illness can result from negative autosuggestion, but even genuine physical ailments could be made worse by the negative thoughts that supervene upon them. Through self-monitoring of thoughts, the client learns to spot the beginning of harmful emotions, pause for reflection, and nip them in the bud. We recognise here the example of concentric circles as showing increase in our physical and moral suffering. He who knows how to suffer suffers less. He accepts the trouble such as it is, without adding to it the terrors that preoccupation and apprehension produce. Like the animal, he reduces suffering to its simplest expression; he even goes further; he lessens the trouble by the thought, he succeeds in forgetting, in no longer feeling it.